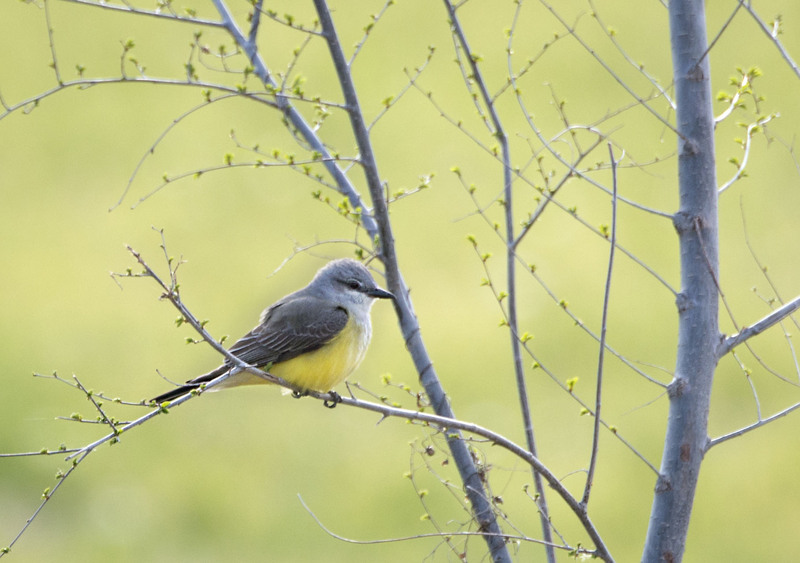 With the first green leaves just making their presence known this Western Kingbird sat quietly in the early evening occasionally darting to the ground to pick up a insect. We were able to watch for awhile and enjoy this beautiful bird before they decided enough was enough and flew off into the sunset. Yes the light was great and the nice fresh green colors of spring were ever-present that day. Wish I was there to see it. 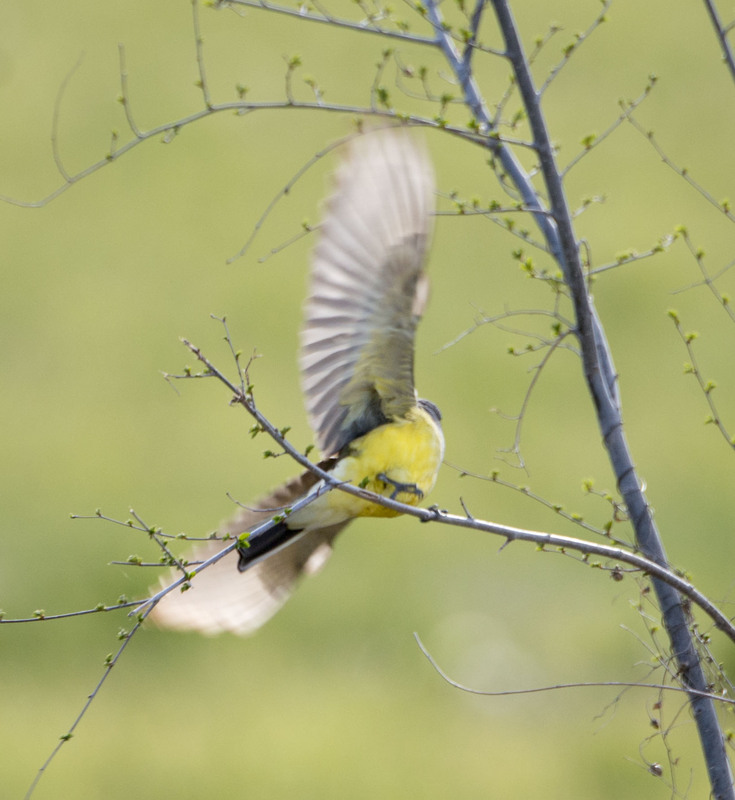 Hi Mary, they are beautiful birds and we are always happy to see them return in the spring. Thanks and thanks for taking time to leave a bit of feedback we appreciate it. Have a wonderful day. 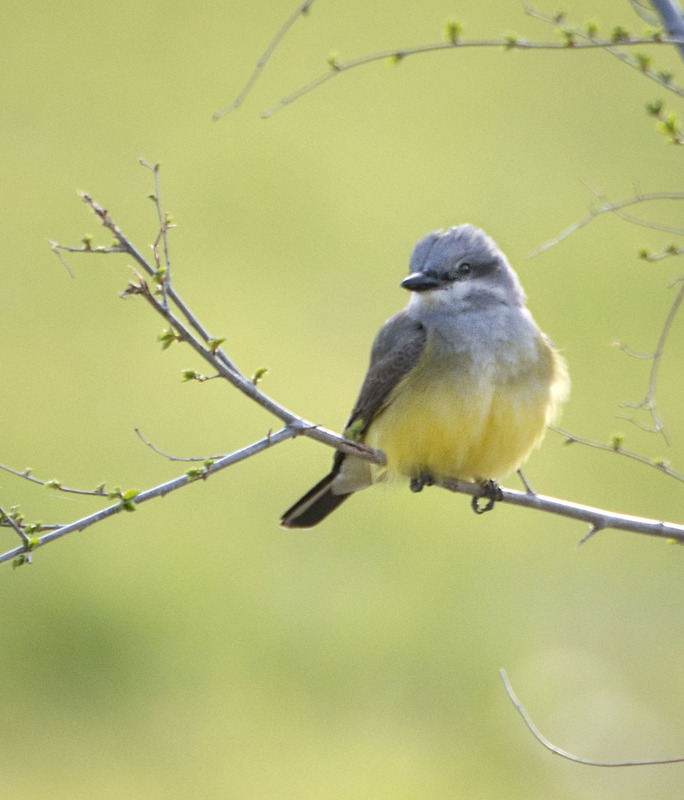 Looks like our Flycatcher! Pretty Bird!